Every year on an August Saturday and Sunday. Two million people at the lake. Click for a .pdf sign/flyer, for inexpensive home and copy store printouts. 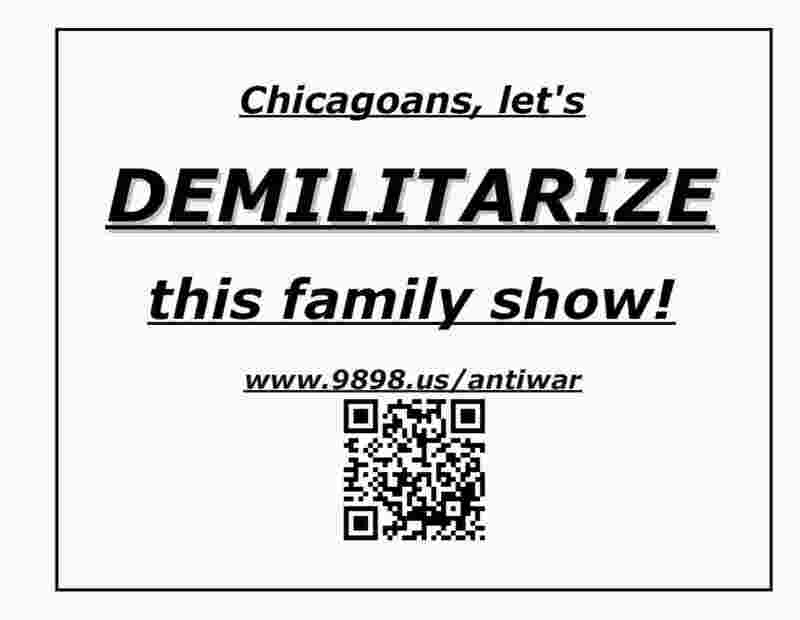 Chicago's annual family entertainment event should not be turned over to military forces, predatory recruiters of kids, and radio/tv station licensees who glorify war culture and the amazing expensive weapons of terror, destruction, and mass killing! Recruiters' lies destroy many human lives. The obedient warriors' and untold civilians'! Visit the anti-war booths. Join a group walking with antiwar signs. Tell vulnerable young adults the facts about wars and about recruiters' deception.